Perfect combination of natural vegetable oils crate a nice and light texture which absorbs in the skin nicely. Full of nutrients & vitamins for skin nourishing. Authentic, natural aromatherapy massages oils blended and controlled by international qualified aroma therapists. Using 100% pure essential oils and extracts with the highest standards of purity and ecological responsibility. Free from synthetic fragrances, colorants, with minimum natural preservatives. Over 20 body scrubs and 10 body wraps for your selections. 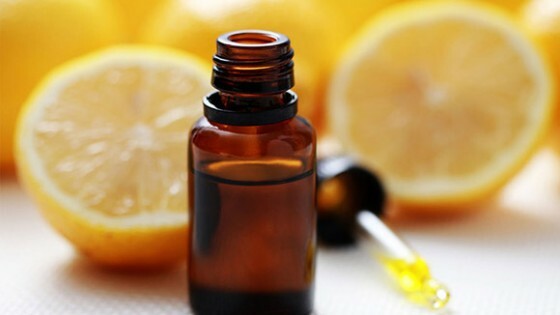 At Make Scents we refer the meaning of “Aromatherapy” as “The art of using essential oils to promote physical and psychological health and well-being” We use the term “aromatherapy” to refer to the therapeutic application of plant essential oils usually diluted in vegetable carrier oils for massage both body and face, for therapeutic bath, for inhalation and of course for producing natural skin care and spa products. 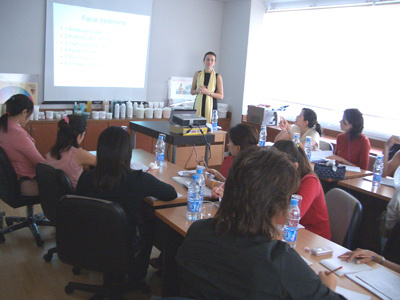 Make Scents has been supplying spa products and training services since year 2000. We are now known as authentic best aromatherapy and spa professional treatment products from Thailand. We’ve been successfully supplying to top prestigious spas in Thailand and Asia and expand to export to Middle East and Europe. All of our products are based on natural ingredients using local organic oils from Thailand, blending with the most authentic oils from their original sources, best quality of natural herbs & spices, clays, etc. are carefully selected to produce our products range to meet the customers’ satisfactions. 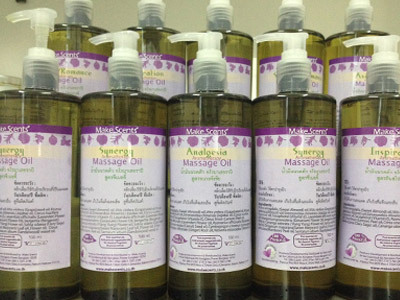 Massage oils: Make Scents signature blends, variety choice to offer, 10 different concepts and more than 50 blends ready to supply. Body Scrubs: various textures for customers’ preference and skin types, pleasing aroma with effective results. Body Warps: clay, cream, powder, etc. variety of texture for different purposes of treatments, ready to offer and fit in your spas menu and concepts. 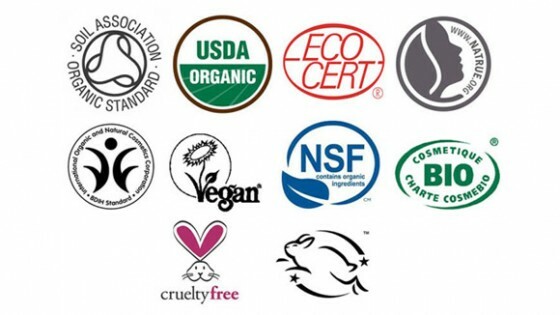 Skin Care & Amenities: natural plant mild base, SLS, Paraben free, fragrance, mineral oil free and not test on animals. Pure Essential oils & blends: We carry over 60 different essential oils and blends in stock ready for your order. 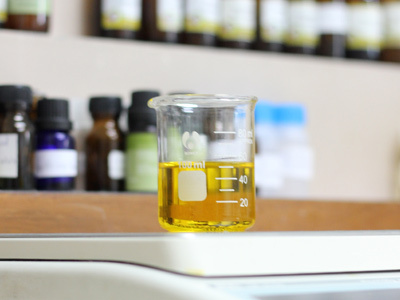 Natural Vegetable oils: Organic or cold pressed 100% pure more than 10 oils are in stock available for small or bulk purchase. Make Scents has been created signature blends to prestigious world famous spas with more than 200 formulations till present. From the concept signature blends of essential oils for spas professional used as massage oils or diffusing oils, to body scrubs and wraps and leading to retail products, to skin and hair care and hotel liquid amenities. We take our pride in full service offered to our customers. Not only providing high quality effective products, we designed how to use them to maximize their potentials and to treat the spas’ clients with pleasurable results. Our courses are managed to train professionals to enhance their skills in the best way possible. 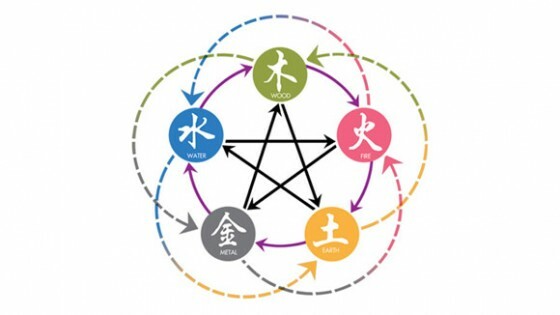 Courses are covering several of techniques and special tips easy to understand teaching by experiences trainers and controlled by international qualified aromatherapist and spa expert. The Wellness News area, an extensive collection of aromatherapy and essential oil articles, guides, tips and event activities. MakeScents Co., Ltd. © 2015 - All Rights Reserved.